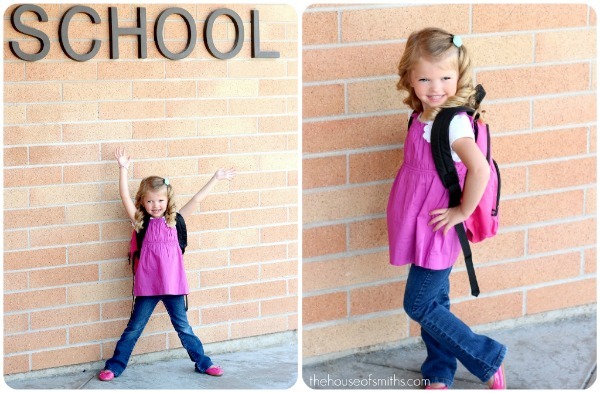 Tis' the season for back to school! 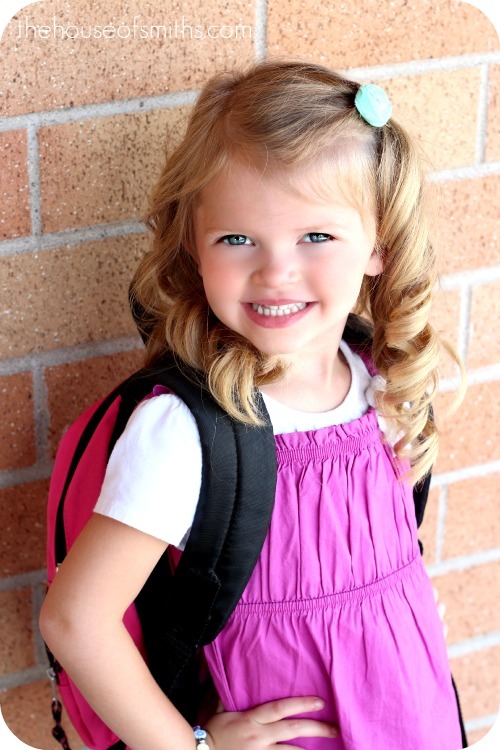 but Aubrielle is just gearing up for her 2nd year of preschool, that starts TODAY! 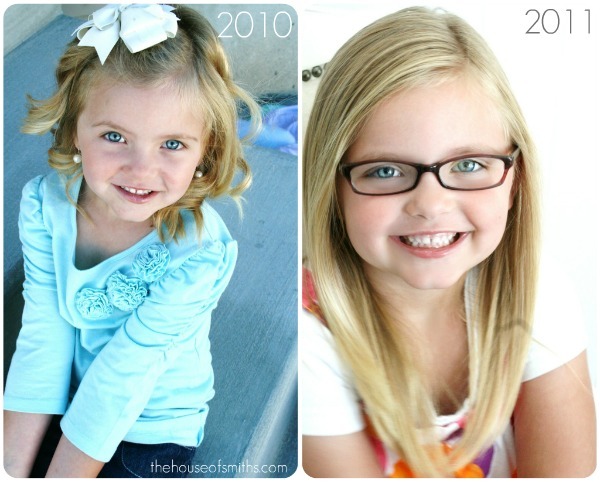 I feel like it's SO crazy how fast these little chicks grow from one year to the next! 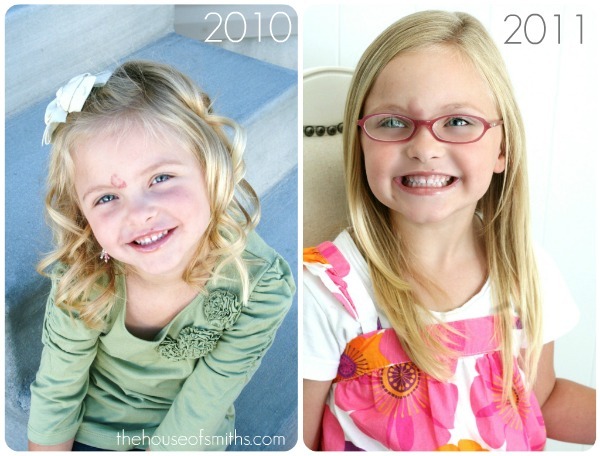 All of a sudden my little chicks have lost their baby faces and grown up little girl features have taken their place! Through the power of photography it's been such a fun experience to watch them change and grow. Speaking of growth ... can we talk about how FAST kids grow out of clothes at this age? I swear that I'm buying new shoes, jeans, and tops at a ridiculously rapid pace! One day everything fits perfectly and the next, you notice that someones belly is showing because their shirt is too small/short! (and no, surprisingly it wasn't because I shrank it in the wash) ha! So can I tell you that this is the main reason that I LOVE retailers who sell affordable, CUTE clothing! One of our favorite go-to stores for all things back to school, has been Target. We made a little "back to school shopping trip" to Target the other day and picked up this cute outfit for Aubrielle's first day. She LOVES new clothes and always feels so special in them. (who doesn't!) and I love the fact that I don't have to spend a fortune to get them for her! So because Cherokee USA knows that ALL kids love to feel special on their first day of school, they have offered to sponsor this post AND give a lucky House of Smiths reader a $100 giftcard to Target, to help save you a pretty penny and outfit those cute kids of yours in some great Cherokee clothes! If you'd like to be entered for a chance to win a $100 Target giftcard, then head on over and LIKE Cherokee USA on Facebook. Then just come back and leave a comment here, telling me that you did so! 1 - Tell me what some of YOUR basic necessities are when shopping for back to school clothes and who in your family could really benefit from a Cherokee clothing shopping spree!? 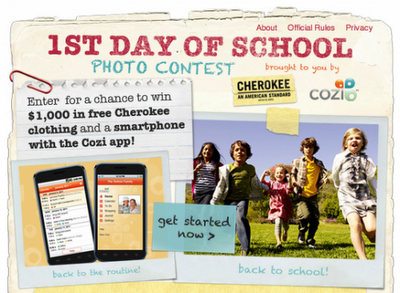 2 - Enter this fun 1st day of school photo contest on the Cherokee USA Facebook page - prize package includes a $1,000 shopping spree from Cherokee clothing and a $300 smart phone from Cozi. 3 - Sign up for Cozi.com. 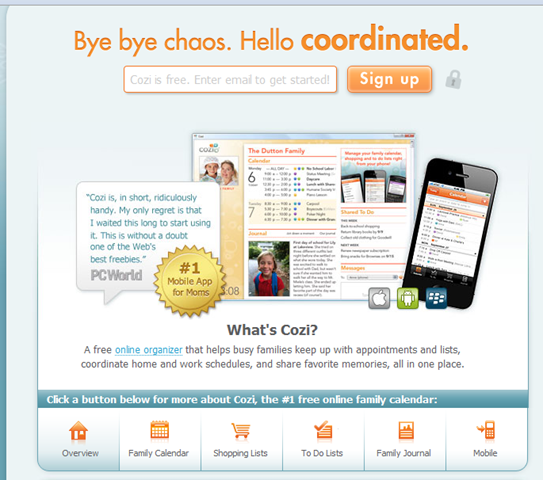 "Cozie is a free online calender designed especially for busy families. It's a central family organizer that the whole family can access from any computer or mobile device. It helps busy families keep up with appointments and lists, coordinate family and work schedules and share favorite memories all in one place." Make sure to leave an extra comment for each entry! I like Cherokee USA on facebook! I like Cherokke USA on FB! Hi! I 'liked' Cherokee on Facebook. Some of our basics are cute shirts, pants and items that can be easily layered. My 5 year old would greatly benefit from winning the gift card. We haven't bought any back to school clothes yet. I liked their facebook page! Great giveaway! Your girls are the cutest. I love how you always have their hair styled perfect. Seriously though, their hair looks better than mine on most days. Back to basics always include all new school supplies. This GC would certainly go a long way at Target! Thanks for a chance to win! I like Cherokee USA on FB. I liked Cherokee on FB!! When back to school shopping my kids always need socks! I don't know what it is about little boys but I always have to buy them new socks. I don't have any kids of my own yet, but I'm a teacher, so I could benefit from some new back to school clothes. =] And being that it's cooling down already here in SLC, I'm needing some new sweaters. my little cousins would really benefit from a gift card/shopping spree! they are starting a brand new school this year and i would love to send them off in style! necessities for school... jeans, skirts, shoes, and of course pencils, backpack ,glue and COATS!!! My kids grow out of their clothes so FAST I cannot keep up!! I liked Cherokee on FB! Sorry - my computer "burped" & I think may have lost my first comment so I'm trying again. Basic back to school supplies are always necessary. And with this GC, it would go a long way at Target. My oldest daughter would be the beneficiary of a Cherokee shopping spree. Thanks for a chance to win. I "like" Cherokee USA on Facebook. I usually only buy my kids one outfit before school starts because they seem to grow out of everything by the time Christmas comes around. I always have to buy shoes and socks though. BTW, your girls are adorable! My little boy could totally use a little spree this year. He'll be going back to school for his 2nd year next week! Thanks for the giveaway! my sister could really use this shopping spree! I like Cherokee USA on Facebook. I "like" Cherokee on facebook!!! Would love to have some new clothes for our little girl! When shopping back to school, my daughter cannot live without dresses! She is such a diva, so my necessity is tights (and LOTS of them!). My son would totally benefit from this giveaway because while we are jamming my daughter's closet full of cute clothes, he's lucky if gets a new pair of sweat pants and a polo! LOL There's just so much out there for girls! For my little guy, he is always needing new jeans. I swear he just looks at them and holes come! Plus a bunch of fun t-shirts, ones that look cool enough for him and nice enough for mom! My baby girl (2) is growing like a weed though and she's the one in need of a whole new wardrobe! Our daughter is 2 years old and in daycare, so our basic supplies are clothes that will look cute and stand up to all her running around and arts and crafts on a daily basis! My 5 year old could definitely use a new wardrobe! She is growing like a weed and I can't keep up with everything she needs! Some of my basic necessities are pants in neutral colors, several pairs of neutral shoes, and lots of layering items! This is an Awesome giveaway! I have two cute little girls that would love a free shopping spree, When we go shopping we look for School clothes, jeans, shirts and sweaters and also Church Clothes and Cherokee has it all! I love it!!!!! "liked" Cherokee USA on FB! I entered the photo contest on FB! I signed up for Cosi! I liked Cherokee on Facebook! I "like" Cherokee on Facebook! Thanks for the great giveaway!! I'm now a follower of Cherokee USA on facebook! In our home we need jeans and tees! Basics for layering are awesome to have! I have 3 boys so my necessities are jeans, jeans, and jeans. oh and underwear and socks! I'm lucky if the kids don't outgrow their jeans before the knees all have holes in them!! I liked Cherokee USA on FB! We have "liked" the Cherokee Facebook page - with 4 kids - Target is our favorite!! I signed up for Cozi!! I "liked" the Cherokee FB page! 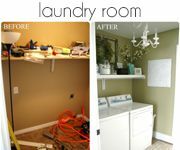 1 - We always seem to be on a tight budget, so we try to alternate the years we need the big things! For example, my kids can both wear winter coats for 2 years, so last year we bought one for DS & this year we will need a new one for DD. DD is growing so fast, so she could definitely benefit from some new adorable things from Target. Have to stick to the basics when back to school shopping- long sleeved shirts, durable jeans and a couple of cute stand-out pieces. Love the Cherokee plaid shirts for little boys. Just picked one up for my 2 year-old who just started preschool last week. I'm technically not in school nor do I have any little ones, but I just lost 30 lbs, so I could really use a shopping spree to get some new (SMALLER!) clothes! Basics…Lots of jeans and socks! Boys go through both FAST. My daughters could always use a clothing spree. Jeans are always wanted, needed, appreciated! Mark this lady down for NEW COZI MEMBER! I've been on Cozi for a while now, found via FlyLady! I love the Android app, it helps me manage all my crazy OCD lists! Like Cherokee on Facebook! Hoping to win this! "Tell me what some of YOUR basic necessities are when shopping for back to school clothes and who in your family could really benefit from a Cherokee clothing shopping spree!?" 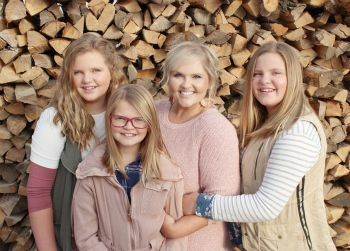 My daughters are growing like weeds so they would benefit the most. Necessities are socks, undies, new Converse, jeans and t's! I "liked" Cherokee on FB! My boys would benefit from a shopping spree! Luke is growing like a weed and needs a whole new wardrobe! I signed up for Cozi.com! 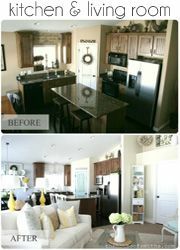 I just liked cherokee at Target on facebook. I school shopped at Target this year. My daughter could really use school clothes for Kindergarten now that the weather is changing here in Indiana! I have LIKED Cherokee on FB. For back to school shopping, I would use the gift card to help supply things for my 4 grandchildren. They could use shoes and socks the most. Basic necessities for back to school shopping include socks, jeans, pants and shirts. My oldest son would benefit the most from the shopping spree. I signed up for Cozi. I liked Cherokee USA on Facebook. Thanks for the giveaway. What a great give away count me in. I could sure use it for the youngest!I liked them Cherokee USA on Fb.Btw The girls have grown! Ive enjoyed your family and home post. I entered the Back to School photo contest! My oldest daughter will be starting preschool and could use some new fall clothes, especially pants and sweaters. But in reality, my college-student husband needs new shirts the most. If only they had such cute things in his size! We were short uniform dress shirts this year my son has gotten so tall so I would love to win this for him he is in his last year and we are excited for his future.Thanks for an extra chance to win. My son Jack and daughter Hallie are growing so fast I can't keep them in shoes...oh my it's crazy! I liked Cherokee USA on facebook...and love them in real life! My entire family wears that brand. I "like" Cherokee USA on Facebook!!! But I'd LOVE them if I could! Jeans are our clothing necessity. We even wear them to church sometimes, so we all have several pairs. Who doesn't need clothing of some sort but we live in South Dakota and it seems like coats are definitely a necessity here.... but our oldest son seems to go through clothing faster than I can keep up (makes me fear his real teenage growing years, ha) so a lot of it would go for him.... although you can't pass up the cute girl things they have either!!! 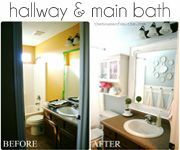 I liked Cheerokee on Facebook! 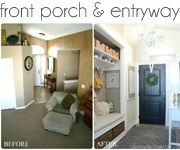 Fabulous giveaway!! I "LIKE" Cherokee on FB. I Like Cherokee on facebook!! I forgot about the approval part so I probably wasn't the first one. ooopps. Anyway, jeans and new shoes are a must for back to school and my daughter could really use some of both. MY necessities are skinny jeans, knee boots, cardigan shawls, and decorative long sleeves (go under many shirts ;) ). My 3 yr old daughter Tenesey would benefit by this generous offer because she is getting ready to start Preschool. Even teaching from the home requires new fun fashion for her where as it makes her feel special and important (fun for me to mix n match and make ever piece worth it!). I entered the first day of school photo contest! My basic necessities are jeans and plain t-shirts! LOVE THEM! Oh all 3 of my kids need some new jeans and clothes for fall...crazy how they grow so fast!! My nice, Taylor would LOVE a back to school shopping spree. She's at that stage where she's growing so fast her clothes can't keep up! I really need jeans for my boys. They live in jeans through the fall, winter and spring! I love Target! With five chlldren, four that are girls, I am constantly looking for great style at a great price. We could use this to rev up their wardrobes! Some of my go to necessities are different colored under shirts (short and long sleeved), undies and socks, a couple pairs of great jeans, a jacket, few sweaters, shoes, and then some fun things like hats, hair bows, jewelry, etc! I liked Cherokee on facebook and my famiy would love to have the awesome gift card, it is all the small neccesities that adds up like the underwear, socks and undershirts. Both my Kindergartner and I could use the reward! My "little" because she's growing out of EVERYTHING, just like you said, and me, because I'm due any day, and am guessing I'll need a few new things once baby arrives to feel human again :) Thanks for the giveaway chance! entered Cherokee and Cozi's giveaway! A good pair of jeans and sweater that they can wear over shirts. Oh my gosh. I just bought two of those knit dresses from Target you can see in one of your pictures. LOL. We used them for my girls' birthday pictures last night. I already like Cherokee on FB. They have some great stuff! My son would love to win this giveaway. He just started preschool and we love shopping at target. They have such a great selection and awesome prices. I don't have children yet...but I just started school this semester myself! I've recently lost about 20 lbs and could really use some new clothes in a smaller size! I like Cherokee on FB! My 4 year old son would be the perfect candidate for this giftcard. He is growing faster than I can keep up with. I like to stick to 3 or 4 basic colors of pants adn then get mix and match shirts for him to wear with them! Keeps the number of items I have to buy at a low but options at a high! My husband just started a graduate program after working for 4 years, so he's the one in our family who could use new school clothes the most :) I love Cherokee for my little 2-year-old too. I like cherokee on fb. My son is growing like weeds and I am getting ready to do his fall shopping, jeans, cords, long sleeve shirts, etc. This GC would be awesome! Shoes! It seems like my kids are outgrowing their shoes every single year and don't seem to be in the sizes that big sister wore the year before. I liked Cherokee on facebook. My 6 month old is in need of some warmer and bigger clothes. She just grows so fast! I Like them on Fb! I LOVE Target so this would be awesome! I liked Cherokee on FB. I like Cherokee on facebook! I love Cherokee because they have outfits that don't make my 8yo look like a street walker. They're fantastic and who doesn't love Tarjay. There are no basic necessities when shopping at Target. Their little girl clothes are to die for. I usually end up spending way more then I had planed on when visiting that store....so this Gift cad would be amazing! WE need jeans like crazy. My boys think they need to make holes in the knees when they get a new pair! Shoes are a must they grow an inch in a day I swear! I don't have any kids in school yet but cardigans and jeans are a must have for fall! I'm expecting a baby girl in the next couple months so I would definitely use it on her. Target has the most adorable and affordable baby clothes as well as clothes for mom and dad too! I think some of the essentials for back to school shopping are shoes and coats! (and they add up fast... bummer) The gift card would help curb the cost a lot! Thanks for the giveaway! 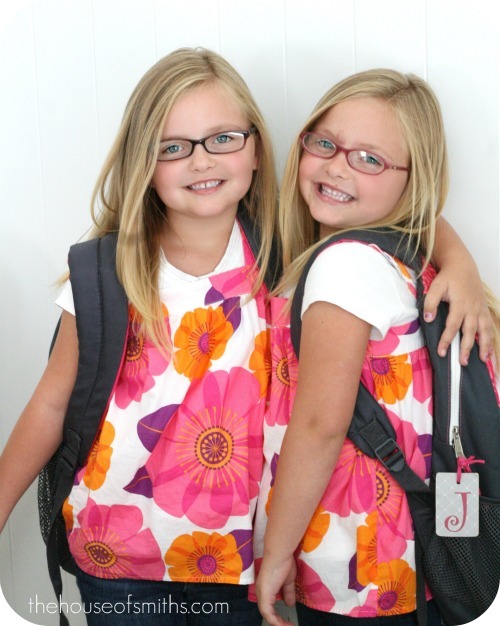 I uploaded a back to school picture to their contest! I liked Cherokee USA on facebook. 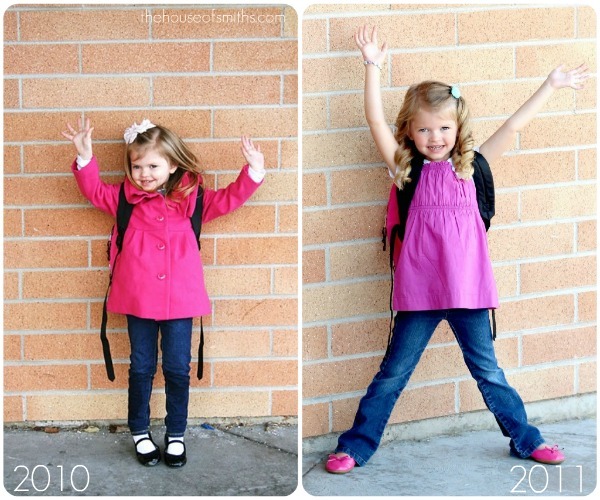 This is my first year buying "school" clothes, and I realized after the first day that my daughter needed COMFY shoes instead of CUTE! She also has no place to get hand-me-downs from, so once her arms grow any more, she'll need all new long sleeve shirts! I entered the Cherokee 1st day of school photo contest on facebook. I liked Cherokee. I could use clothes. After having my 4th child and losing alot of weight I NEED some clothes that fit! But you know us Moms are always last to get things! Thanks for doing the giveaway! My little miss is also growing like a week and is need of some new pants for fall! I would use this gift card for my pre-schooler. She is the middle child, always getting the hand-me downs! She would love to shop just for her! I always get my kids jeans, a couple pairs. Everyone needs jeans! I am having trouble posting a comment on here, so this may be a repeat post but i want this gift card to buy a new wardrobe for both of my kids ;). I absolutely LOVE Cherokee clothes! They are uber cute and super durable. My 2 year old and 10 month old are VERY active and rough on clothes...Cherokee clothes keeps up with them and makes them look even cuter than they already are!!! It seems like we always need some sturdy shorts, pants & shirts that can take the wear and tear of an active 3-year old boy and all of the washing that has to be done to get out the stains he manages to find. Speaking of which he could really use some back-to-pre-K clothes. It seems like everything is a basic necessity these days. This year it's my husband going back to school and boy could he use some new shirts! Great giveaway! My back-to-school essential for my 3 year old is shoes, shoes, shoes!!! I don't have any kids yet but I have lots of nieces and nephews who benefit from my shopping at Target! They LOVE new clothes! Both of my boys are in need of a update in their wardrobes; especially since the cooler Fall weather is fast approaching. They both out grow jeans like you wouldn't believe! I like Cherokee on FB! Thanks for the opportunity! I liked Cherokee USA on Facebook!